You don’t have to look too closely to see that technology is having a profound impact on how factories operate today. The application of technology is making the process of manufacturing ever increasingly intelligent and dynamic – allowing the concept of a Smart Factory to become a reality. The term describes an environment where machinery and equipment are able to improve processes through automation and self-optimization. The benefits also extend beyond just the physical production of goods and into functions like planning, supply chain logistics, and even product development. 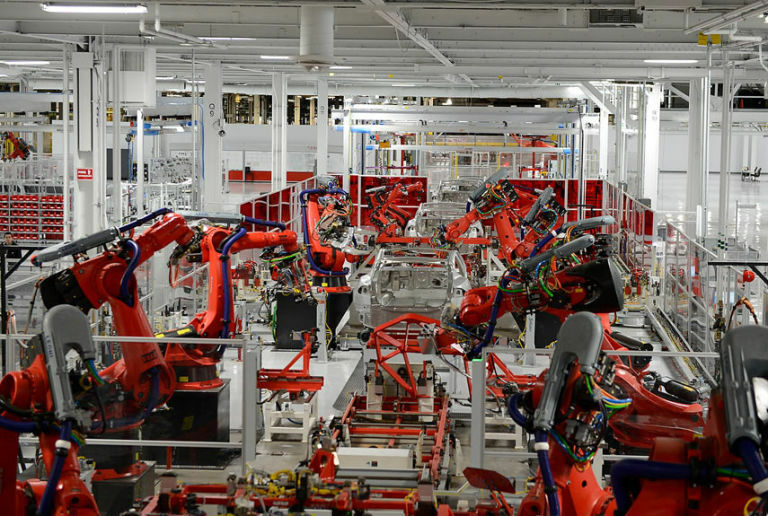 Yet, the core value of the smart factory still happens within the four walls of the plant. The structure of a smart factory can include a combination of production, information, and communication technologies, with the potential for integration across the entire manufacturing supply chain. All these disparate parts of production can be connected via the IoT (Internet of Things) or other types of advanced integrated circuits (IC’s), which enable sensing, measurement, control, and communication of everything that’s happening throughout the manufacturing process. Central to the smart factory is the technology that makes data collection possible. These include the intelligent sensors, motors, and robotics present on production and assembly lines that the smart factory puts to use. Sensors make it possible to monitor specific processes throughout the factory which increases awareness about what’s happening on multiple levels. For example, vibration sensing can provide a warning when motors, bearings, or other equipment need to be maintained. These types of subtle warnings become alerts for preventative maintenance or other actions that head off larger production problems if left unattended. Similarly, sensing technology on SDVs (Self-Driving Vehicles) used for material handling improves efficiency and safety as product is moved around the factory. These types of robotics have the ability to sense and avoid people, as well as unexpected obstructions in the course of doing its work. The ability to automatically avoid these common disruptions is a powerful advantage that keeps production running optimally. Communication and the ability to use the data is what puts the ‘smart’ in the smart factory. New technologies are emerging as Industry 4.0 - or the next industrial revolution - are converging to enable the smart factory. Ultimately, it’s the application of intelligence at the factory level that creates a dynamic production environment and the desired results - reducing costs while improving quality and reliability. Consider how smart equipment makes it possible to automate much of what’s required to accommodate product variation and smaller-sized production runs during the manufacturing process. The future of manufacturing is for more customization, so by minimizing downtime for retooling and resetting equipment, manufacturers can operate efficiently while staying flexible. As the smart factory slowly emerges, the roles that people take on will evolve from what they are currently doing in today’s factories. People will take on more complex roles while automation will conquer the tasks that are repeatable, mundane or currently impacted by labor shortage. Studies indicate that technology, overall, does not eliminate jobs. As factories get more technologically advanced, the number of indirect jobs needed to support them will increase proportionately. In turn, new suppliers in new industries will emerge, fueling the advancements from outside the smart factory. In the end, the investment of building a smart factory benefits manufacturers by creating a safer and more reliable plant. The demands on the manufacturing industry will continue thanks to the trend for more on-demand production and ever present drive to reduce costs. The smart factory is a direct way for manufacturers to excel in a competitive and dynamic marketplace. Good overview of the smart factory. I especially like the part on the impact of jobs. Too often the perception is that automation will cause job loss. It will undoubtably shift the skill sets - but as the factory is able to compete globally it will increase throughput which will require more manpower in other areas. The only way to truely succeed is to change the culture in the existing factories. There needs to be a buy-in from the stakeholders on the shopfloor and in management to use these IIoT systems to improve process and create an environment of constant improvement.